It’s common for property owners to not pay attention to their roof. When was the last time you conducted a roofing inspection? You can avoid leaks, drainage problems and expensive fixes down the line by making sure your roofing system is functioning well. Here is a roof inspection checklist to help ensure a healthy roof. It is inevitable that a roof covered with thousands of shingles may become bent, split, wrinkled or damaged over time. Roof shingles improve your property’s appearance and functions as a waterproofing barrier to protect the integrity of your property’s structure. Inspections help inform you about whether you require shingle roof repair. You may be missing some integral architectural elements in your roofing system. Every roof needs a gutter system and flashing to funnel water away. If you already have these installed, you may want to check if they are damaged or poorly installed. Sagging roof lines actually mean that you need a roof replacement. It may be harder to notice the uneven lines in your roof unless you look closely from across the road. Your rafters may be damaged, there may be foundational issues, or you have too many layers of roofing already in place. Moss thrives in dark, shady environments and can cause your roofing to deteriorate. It causes roof shingles to degrade as it retains moisture. A roofing contractor can help you clean and remove the moss from your roofing without lifting and breaking shingles. 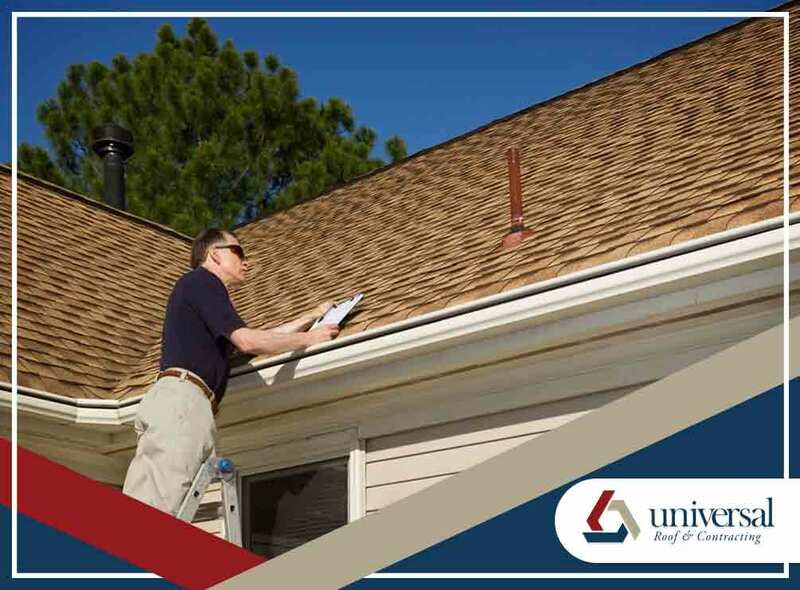 Hire licensed professionals like Universal Roof & Contracting to evaluate whether you may need roof repair, replacement or other services. Regular roof inspections will certainly go a long way in preventing potential or existing damage on your roof. Contact us at (407) 278-2686 today for a free roof inspection in Orlando, FL. Call us for a free estimate on your next Home Improvement Project. Orlando: 407-295-7403 Jacksonville: 904-647-3907. Or contact us here. At Universal Roof & Contracting, our family’s goal is to make your experience better than you expect — one that will increase the value of your business and protect your investment for years to come. Giving back to the community to show our appreciation for over 20 years of serving Florida.